Want to know a good time to head to Costa Rica? When all the tourists clear out. Popupla editorial director Jeralyn Gerba heads to the Papagayo Peninsula on Costa Rica's Pacific Coast at the start of low season. 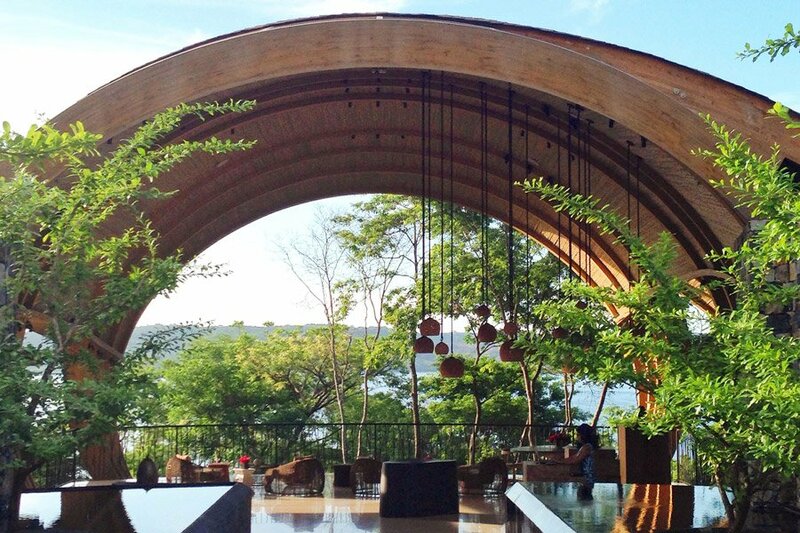 PENINSULA PAPAGAYO, Costa Rica – The opened at the end of 2013 on a quiet, 28-acre stretch of lush forest on the Pacific coast. Local architect Ronald Zurcher took an organic, design-driven approach to the compound, using natural materials (wood, stone, wicker) for communal spaces shaped like cocoons and shells. There's an open-air dining room with a wood-fired oven and an artisanal coffee shop, a loungey South American tapas bar with a fun cocktail program, and a seafood-focused fine dining den with a really delicious ceviche menu. The rooms are handsome: serene expressions of habitat overlooking the Culebra Bay. The best part is that you can barely see them from the water. Rather than dramatically alter the landscape, the hotel tries to blend into it. Tropical Costa Rica is a nice departure from the urban destinations where Andaz usually resides. The resort is not rustic by any means, but it's cozy. It's cool. It's modern. It's minimalist. It's beautiful. And if you visit during low season, it's all yours. With occasional visits from the howler monkeys if you're lucky. I filmed a few highlights from my stay. Tropical plants, bolts of sunshine, and blue expanses. Plus all the paddleboarding, boating, and Costa Rican coffee you could ask for. Video by Jeralyn Gerba for Popupla.